Hyeonseo Lee is a North Korean defector living in Seoul, South Korea. She has completed writing her memoir, "The Girl With Seven Names", which has been published in July 2015 in more than 20 countries. It has become a global bestseller. 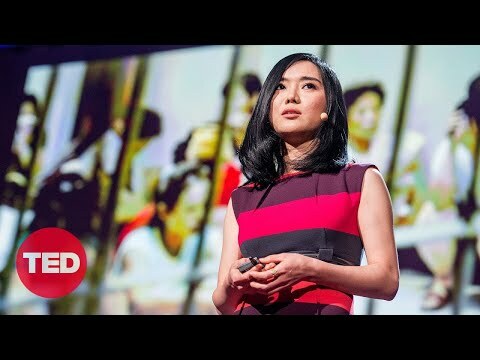 Over 13 million people have viewed her TED Talk about her life in North Korea, her escape to China and struggle to bring her family to freedom. Hyeonseo has given testimony about North Korean human rights in front of a special panel of the UN Security Council, and has discussed the issues with important leaders such as UN Ambassador Samantha Powers. Hyeonseo spends much of her time speaking about North Korean human rights and North Korean refugee issues, including speeches at the Stanford University Global Speaker Series, Princeton University, New York University Law School, and at various venues throughout the World. She has personally met public officials like UK Deputy Prime Minister Nick Clegg and the South Korean Minister of Unification, Yu Woo-ik, to discuss these issues. Hyeonseo has written articles for the New York Times, Wall Street Journal Korea Real-Time, the London School of Economics Big Ideas blog, and worked as a student journalist for the South Korean Ministry of Unification. She has also been interviewed by the BBC, CNN, CBS News and numerous other television, newspaper and radio outlets throughout the world.